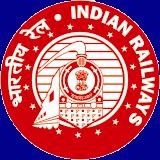 How To Apply: Candidates are required to apply ONLINE for a particular post to any one RRB ONLY, on the website of Railway Recruitment Board (RRB). Candidates are required to apply only through ONLINE mode. No other mode for submission of application is allowed.